The new W53P phone package expands Yealink’s array of cordless DECT IP phones. Other products in this family include the W41P desktop phone, the entry-level W52P package with a W52H handset and base station, and the high-end W60B base station with the W56H handset (refer to the specification comparison table below). Yealink combines the strengths of its entry-level and high-end IP DECT phones with the W53P package, a mid-range DECT IP telephone solution that includes the W60B base station with the newly introduced W53H handset. This IP base station-handset pair presents additional capacity and features beyond those offered in the entry-level W52P solution, for a moderate- to high-level cordless experience. Taking advantage of the latest CAT-iq2.0 DECT standard, the W53P provides high HD audio quality along with a longer battery life, all with a new metallic silver design. 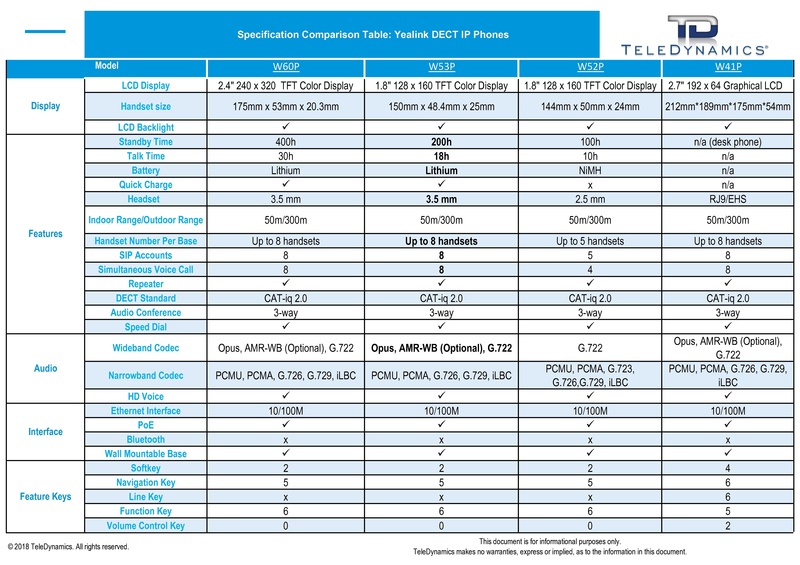 For a more detailed analysis of how the W53P fits into Yealink’s current DECT phone lineup, take a look at the following specifications table of Yealink’s DECT IP phones. Reviewing the above specifications, we can quickly see that the W53P package is similar to the high-end W60P base station and handset pair. The base station (W60B) is the same; only the handset differs. The differences between the handsets are a smaller LCD screen, a smaller overall handset size and a smaller battery capacity on the W53P. Other than that, W53P is equivalent to the W60P. This is interesting to note because these relatively minor differences create a noticeable impact on the cost of the device, making it an ideal choice as an economy-oriented high-end DECT IP phone. Yealink identified the gap that exists between the two phones in the series and provided customers with an in-between option that fits nicely within many workplace requirements. The dual-band Wi-Fi WF50 dongle is a device that can be used to eliminate the need for network cabling for your Yealink IP phones. Compatible with several T2 and T4 series phones, the WF50 can be used to connect your IP telephony device to the network via Wi-Fi. VoIP telephony uses very little bandwidth, so what is the purpose of such higher speeds offered by the WF50? Well, if the Wi-Fi network is provisioned correctly in the workplace, this device eliminates the need for any kind of structured cabling within your office. Not only does it connect the IP phone to the network wirelessly, but it also supplies network connectivity to devices that connect to the network jack of the IP phones, as shown in the following diagram. Thus, the WF50’s high speeds are leveraged not by the phone conversations that you will have over the IP telephone itself, but rather by the workstations connected to the phones. 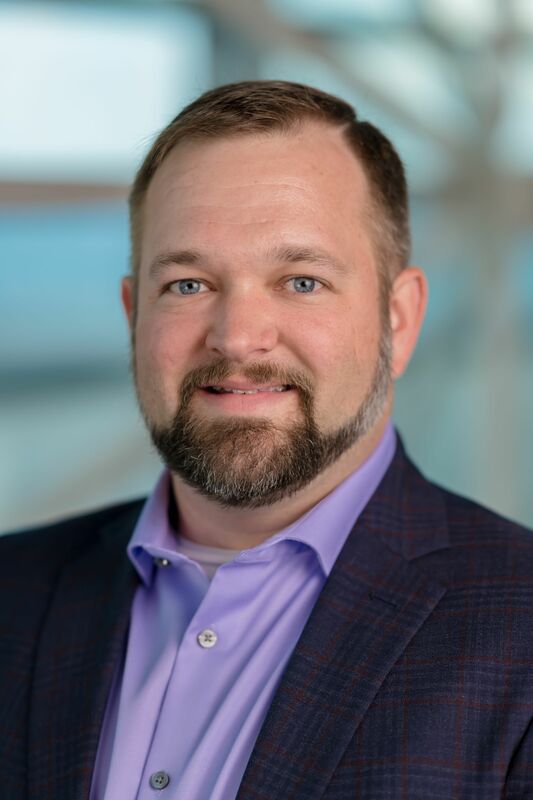 This can result in substantial savings, since structured cabling is not needed, while at the same time it implements a robust wireless enterprise backbone network for both voice and data applications. 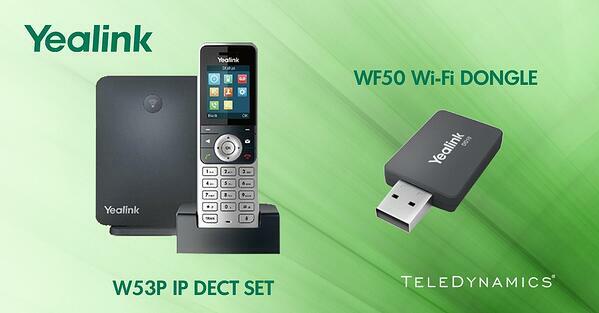 The W53P IP DECT solution and the WF50 dual-band Wi-Fi dongle expand Yealink's range of cordless and wireless solutions for the workplace with the robust feature set and cost effectiveness you have come to expect from Yealink.